Archipelago (Ark): CAIDA's active measurement infrastructure serving the network research community since 2007. 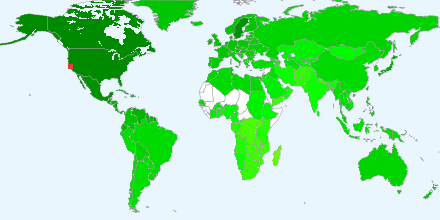 All images can be clicked on for more detailed information. 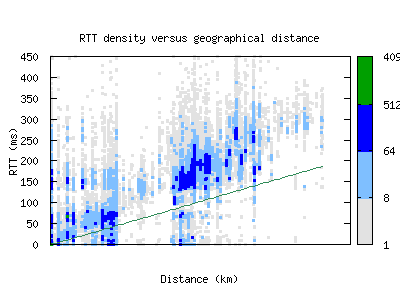 Mapping RTT by political boundaries can reveal where high latency issues are located. 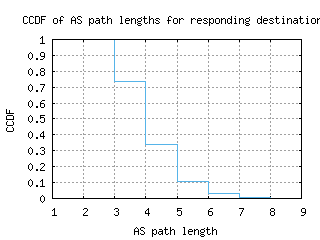 The paths taken by different traces show where the majority of a monitor's traffic travels. Path length distributions show, on aggregate, how well-connected a monitor is to the rest of the Internet. 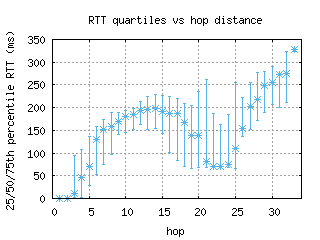 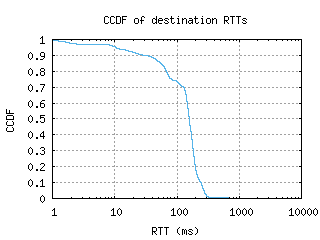 An RTT distribution shows the general latency between a monitor and the rest of the Internet. 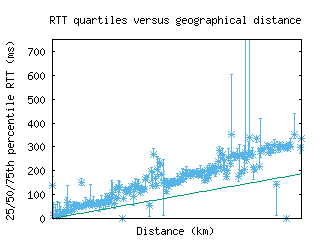 Comparing RTT with geographical distance helps show if latency is primarily due to distance or other factors.